Will free movement of labour within the ASEAN create difficulties for Vietnamese workers? Yes, it would. Workers have to be equipped with good general knowledge, specific skills, languages and knowledge of cultures. We often say that we are capable of training skilled workers at a very high rate, but in fact, we are weak in terms of labour quality compared to many other countries. Our so-called high-quality workers fall behind the world standard in several areas, especially communication skills with foreigners. According to a survey by the Institute for Workers and Trade Unions in 2015, Việt Nam had around one million workers overseas; just 1or 2 per cent of these were considered skilled ones. Vietnamese workers by and large are unfamiliar with the industrial, modern working style, so they often fail to comply with the employers’ rules and requirements, even in simple jobs like housemaids, let alone highly-skilled ones like engineers or architects. The latest report of the Ministry of Labour, Invalids and Social Affairs ( December 2016) shows that the number of skilled workers that Việt Nam can export under AEC commitments is very low, limited to a few jobs in computer science or tourism, while the free labour flow applies to as many as eight sectors. 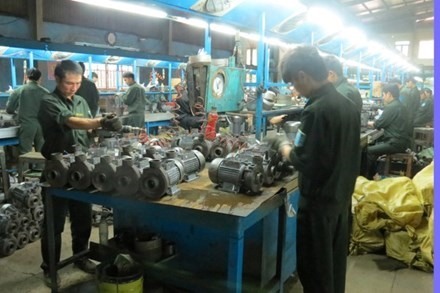 Apart from tourism, preparations for workers in the remaining sectors are very weak, and this could cost Vietnamese workers jobs if the situation does not improve very soon. What should we do to fix this? The Government has recently asked the Institute for Workers and Trade Unions to undertake scientific research on the movement of skilled workers among ASEAN nations. The research aims to find out if Việt Nam’s labour market can respond well to such movements and what changes we should make to the education and training system to meet the new demands. As Việt Nam integrates with the global economy in general and ASEAN’s in particular, the integration of the labour market plays a key role. Việt Nam and other ASEAN countries managed to agree on free flow of labour within the bloc for eight particular sectors, but they will have to set up a common legal framework for everyone to follow. First, the labour force subject to overseas employment must be of high, or top quality. Second, all countries have to agree on a standardised language to be used in training courses (for now, it is English). Workers should also learn about the culture, customs of ASEAN countries, particularly those countries where they go to work. What will be the role of Việt Nam’s trade unions when the labour movement takes place? Most trade union officers are still clueless about specific requirements related to the free flow of labour and on how establish links with partners overseas to support Vietnamese employees.